Description: [moh-tsa-REL-la di BU-fah-lah] This delicate, porcelain-white, unripened cheese is produced from the milk of water buffalos, which live in the wet lowland of Campania region, the countryside area around Naples. The regions known to produce Mozzarella di Bufala in Southern Italy include Caserta, Salerno provinces, Benevento, Naples, Frosinone, Latina, and Rome, with approximately 77% or 85% of the Italian buffalo farmers located in Campania. 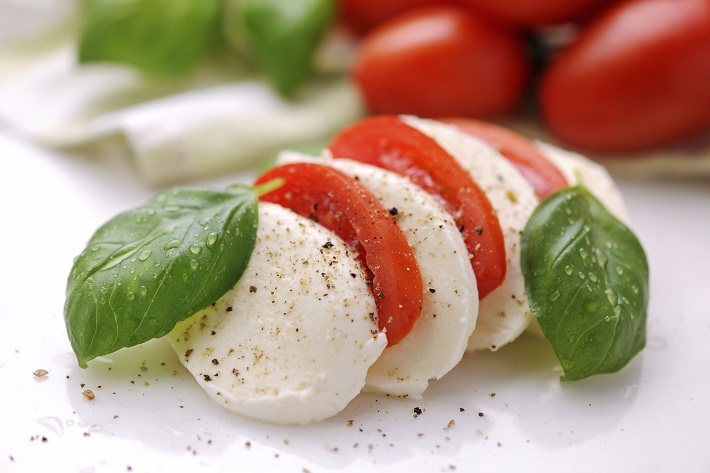 Most of the fresh mozzarella sold all over the world, even in Italy, is made from cows’ milk. That type of mozzarella has less moisture, is consequently more firm, and it is extremely mild. 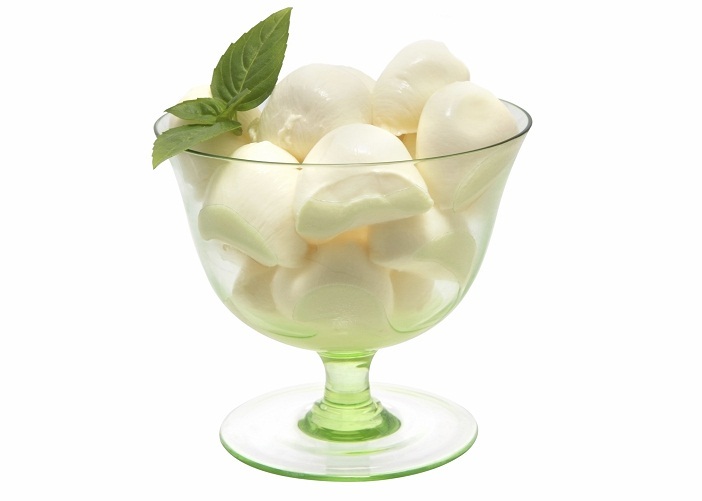 Mozzarella di Bufala, on the other hand, is immensely flavorful, rich in butterfat and very satisfying. Mozzarella di Bufala is also available smoked. The smoked version maintains almost all the unique characteristics of the fresh mozzarella, like the stringy consistency and the delicate flavor. It is made only using all natural and traditional methods and its production is concentrated in the Campania region of Italy.